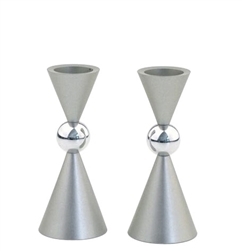 Tradition, innovation, and perfection are the words that describe these refreshingly modern candleholders. 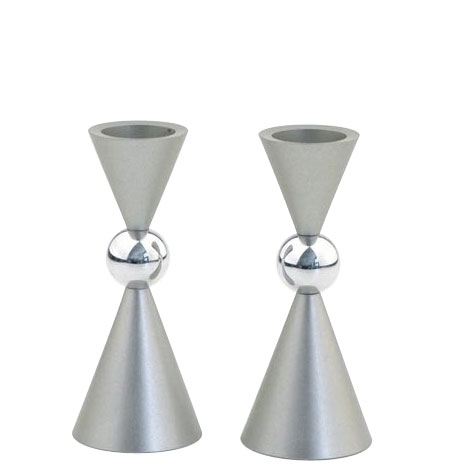 The strength of this design lies in its clean simple shapes, handsome proportions and sophisticated matte-finished aluminum. 3.75 inches high.